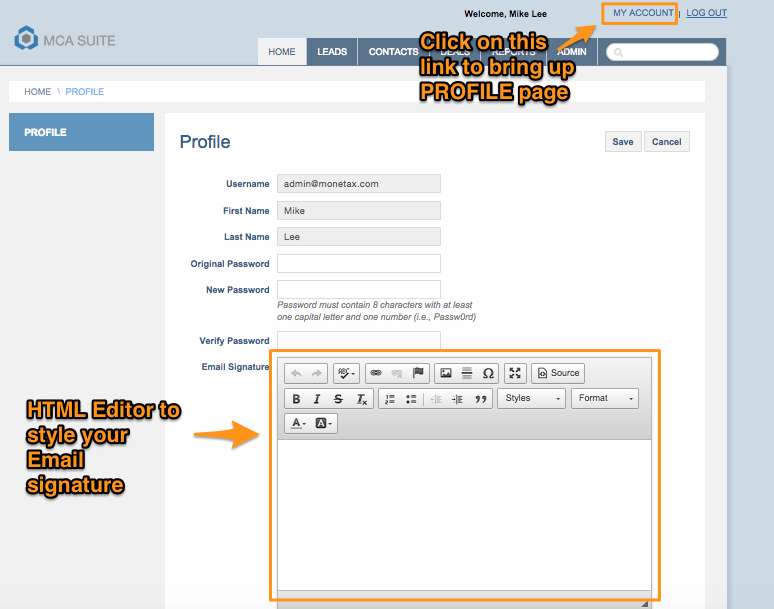 To set up your signature, click on your "My Account" link at the top of any page in MCA Suite. Scroll down the page, you will see a text editor where you can create your unique email signature. You can style or format the signature as you like. This signature will appear in any correspondence you send from MCA Suite. 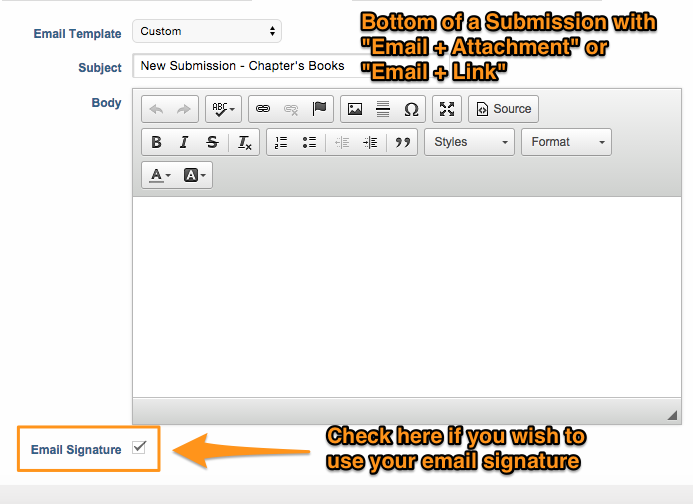 If you would like to send your signature with Submission emails (using the Email & Attachments or Email & Link method), check the "Email Signature" check box on the Submission set-up page (underneath the email message text editor). Note that the Email signature option will only appear if you've your Email Signature setup from the My Account page.